A wave of new road projects — a cascade of construction with attendant detours, road closures and delays — begins in and around our neigborhood next week. It will last well into 2017, and will impact every path in and out of the Venetian Islands, we learned this week at the annual Belle Isle Residents Association meeting. More 100 people attended the meeting, and they got an earful. The projects include the rebuild and raising of West Avenue, the closure and replacement of the westernmost bridge on the Venetian Causeway, the construction of a new West Avenue bridge over the Collins Canal, and the rebuild and elevation of Dade Boulevard. The projects address a range of ills: traffic flow, the flooding issues on Alton Road, West Avenue and in Sunset Harbour, and the replacement of old and failing underground utilities. — West Avenue reconstruction. The first work will begin next week, Mowry said. This is a project that runs from Fifth to 17th streets, and will involve the installation of five more pumping stations (on 17th and Sixth streets, built by Miami Beach, and on 14th, 10th and First, handled by FDOT). Two new pumping stations have been built as part of the Alton Road project. The work is expected to last a year and a half, and it will be done in phases. The first phase is nearest to Sunset Harbour and the Venetian Isles, Mowry said, running from 17th Street to Lincoln Road. There will be major work on 17th Street from the bridge over the Collins Canal east to Alton Road; there will be lane reductions and occasion detours during the day. There may be some intermittent closures on 17th street, he said, but generally it will be open with lane closures. Dade Blvd will have to take the brunt of the traffic during those times. Mowry said the plan is for the work around 17th Street to begin next week and be done by the end of summer. Mowry said the city has urged FDOT to finish one area before starting work and disrupting another. A second phase is the area between Fifth and Eighth streets. And then there are two other major work areas, at 10th and 14th streets. The entire project, which won’t be completed until 2017, will also include rebuilding Bay Road south of the Collins Canal. — The West Avenue Bridge, connecting the West Avenue neighborhood with Sunset Harbour. This project will impact West Avenue, 17th Street, Dade Boulevard and the landing area for the bridge in Sunset Harbour. Mowry said it is under design right now, and will take about seven and a half months for design and permits. Bids could be sought as early as fall, and construction could begin in early 2016. The construction is expected to take between 12 and 18 months. It will have broad impact. To create enough clearance over the Collins Canal, 17th Street will have to be raised for the bridge approach. So will Dade Boulevard on the north side of the canal. The bridge path next to the under-construction Residence Inn on 17th Street also must be elevated, he said. — Venetian Causeway West Bridge. Work is expected to begin as soon as April or May, and the bridge will close. That means to get off the Venetian Islands — From Biscayne Island to Belle Isle — All drivers will have to head east to go north to the Julia Tuttle Causeway or south to the MacArthur. 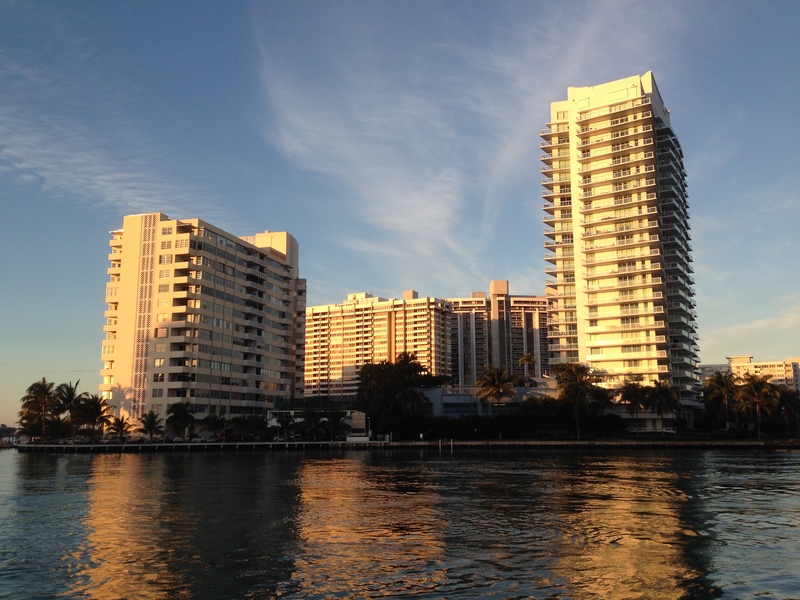 Likewise, returning to Miami Beach from the mainland. Belle Isle Residents Association President Scott Diffenderfer said that a Miami-Dade County bid committee is supposed to meet March 3 and make recommendations on a contractor to the Miami-Dade Commission, and if all goes as expected the work will begin in 30 to 60 days after that. The construction is expected to take about nine months. 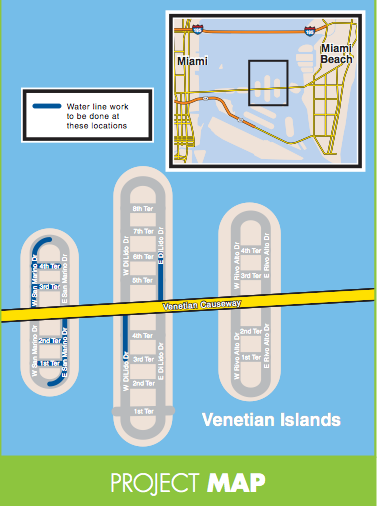 The residents association and the city of Miami Beach have been lobbying the Coast Guard to lock down the east Venetian drawbridge (between Belle Isle and Rivo Alto) during the construction period to keep traffic flowing, but there is no resolution of the issue, Diffenderfer said. There is a study continuing on the condition of the other Venetian bridges, Mowry said, but that isn’t expected to be completed for another year. It’s expected more construction will be needed on many, if not all, of them. Other bridges on Venetian are under study, and next process of repairs is more than a year away, Mowry said. — Alton Road construction. Mowry said while more lanes on Alton Road are now open, the entire project won’t be complete until August. FDOT still needs to install the final layer of asphalt on the roadway, which may start in April and run through June, and that will mean sporadic lane shifts and closures. Dedicated bike lanes will be identified with paint, and will go north to 17th street. — Sunset Harbour drainage and street improvements. Virtually all of Sunset Harbour is under construction, part of $5 million in improvements that include replacing underground pipes and utilities that haven’t been upgraded in 70 years, Mowry said. The utility work should be finished by the end of summer, and then work will begin on the sidewalks, landscaping and road resurfacing. There is a community meeting in Sunset Harbour on Wednesday, Feb. 18, to get input on those improvements, Miami Beach spokeswoman Lynn Bernstein said. That meeting happens at at 6:30 p.m. at 1800 Purdy. (note — an earlier version of this post incorrectly said this meeting happens on a Tuesday; it is WEDNESDAY). 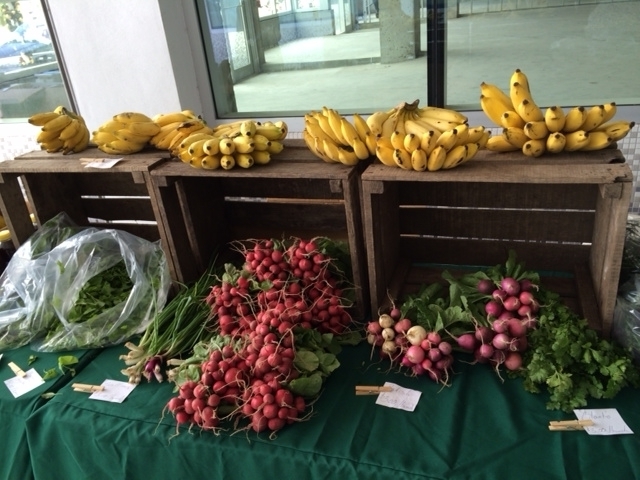 Our neighbors in Sunset Harbour have the second organic farmer’s market Wednesday from 11 a.m. to 6 p.m. in the breezeway at the new Sunset Harbour Shops. The market will feature goodies from Paradise Farms, including baby greens, micro greens, fresh and dried oyster mushrooms, edible flowers, flower tea, herbs, carrots, beets, radish, scallions, avocados, heirloom tomatoes, honey, carambola, local eggs, goat cheese and seasonal fruit. Monday morning sunrise over Belle Isle. — The Venetian Isle construction project that started Jan. 6 on San Marino expands today to DiLido Island. The new work involves digging a trench in the middle of West and East DiLido drives and installing pipes, the city says. Work on San Marino continues. — On Wednesday, there will be another organic farmers market in the breezeway at the new Sunset Harbour Shops, featuring goodies from Paradise Farms. It runs from 11 a.m. to 6 p.m.
— On Feb. 6, Miami Beach police will be holding a police captain’s walk with homeowners. It starts at 5 p.m. at the corner of East Dilido Drive and North Venetian Way. The walk is a chance to discuss security concerns in the neighborhood. — On Feb. 25, the Belle Isle Residents Association holds its annual meeting in the meeting room at 20 Island Ave. There will be a reception before the meeting. We’ll have more details as the agenda unfolds. Okay, we all know that Sunset Harbour has become the hippest ‘hood going, what with all those Pubbelly places and Burgers and Beer and Panther Coffee and Ice Box and the new Sunset Harbour Shops. Last month, Curbed Miami held its Curbed Cup competition for Miami’s hottest neighborhood, and Sunset Harbour beat out Midtown and SoFi and Wynwood and downtown as Neighborhood of the Year. 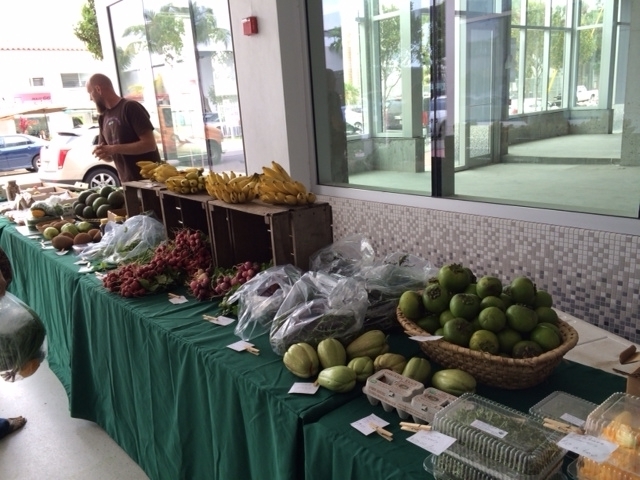 And now, the Sunset Harbour Shops is touting an organic farmer’s market put on by Paradise Farms in its breezeway. The first-ever event happens Wednesday from 11 a.m. to 6 p.m., Wendy Chernin of the Scott Robins Company tells your blog. It will be on the east end of the breezeway, and goodies will include baby greens, micro greens, fresh and dried oyster mushrooms, edible flowers, flower tea, herbs, carrots, beets, radish, scallions, avocados, heirloom tomatoes, honey, carambola, local eggs, goat cheese and seasonal fruit. 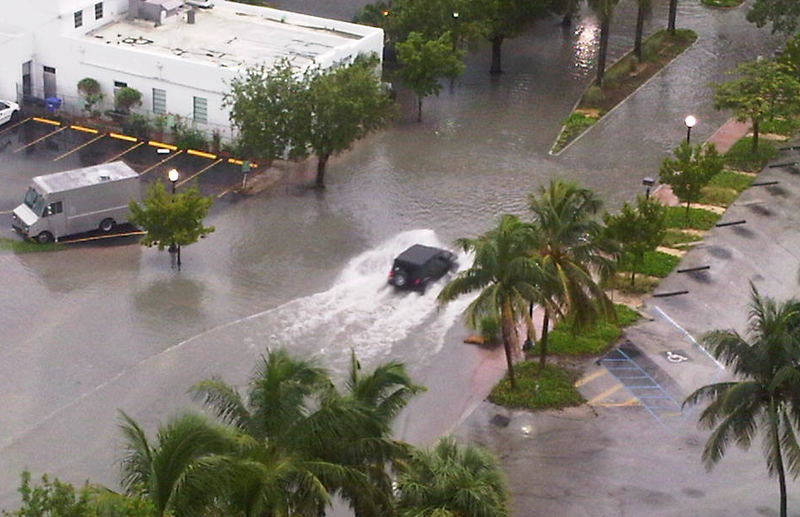 Flooding on 20th Street in Sunset Harbour. We all know that Sunset Harbour floods with almost every rain and full moon-high tide combination. It’s no secret our neighboring hotspot needs improved drainage. So this is good news, sort of. Starting this week, work begins on a drainage improvement project in Sunset Harbour. But traffic is likely to go from bad to worse during the Sunset Harbour flooding work construction phase. The area of impact includes almost the entire neighborhood, and construction is supposed to last (gulp!) six months. The stretch on 20th Street in front of the Pubbelly restaurants, Publix and JugoFresh/Footworks is already a mess because of backups from the Alton Road work. Expect it to get worse. –There will be construction at the corner of Purdy Avenue and Dade Boulevard/17th Street to replace existing pumps and hardware (and yes, it appears the city had already been working on this). –Existing pumps and equipment also will be replaced at Sunset Harbour Marina across from the Sardinia/PB Steak corner at 18th and Purdy. –All along 20th Street, construction crews will replace a pumping station and add new drainage wells. In addition, a new sewer system will be constructed and connected. Lane closures will happen between 8 a.m. and 6 p.m. weekdays, in phases. Brace yourself — and remember the flooding in Belle Isle that finally got fixed after years of construction. In end, it was worth it.